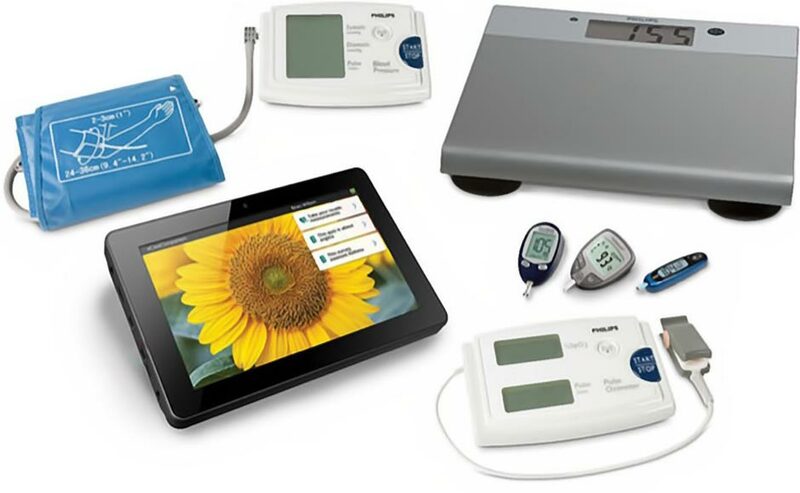 Philips Motiva is an interactive healthcare platform that connects patients with chronic conditions, e.g. (chronic) heart failure, diabetes mellitus, and chronic obstructive pulmonary disease (COPD), to their healthcare providers. The standard setup contains a set-top box connected to a TV, controllable by remote. The set-top box receives the measurements from Bluetooth supported measurement devices: e.g. scale or blood pressure device. This is made possible through the Continua standard. In the new release an Android tablet fulfills the same tasks. The platform will trigger configured actions and delivers the patient a message/video, or inform the nurse about the new measurements which are above expected value. The platform contains different care plans which are configured per site and available in multiple languages. Care plans are coupled to a patient based on their illness. Measurements done by the patient are all securely stored in the back-end of Motiva. It is possible to view history, trend, or set alerts, but only by the care team addressed to this patient.